The KONA round coffee table in black glass top with glamorous copper base finish. KONA is a perfect choice for modern home, it comes with a tempered glass contrast with copper plated base. 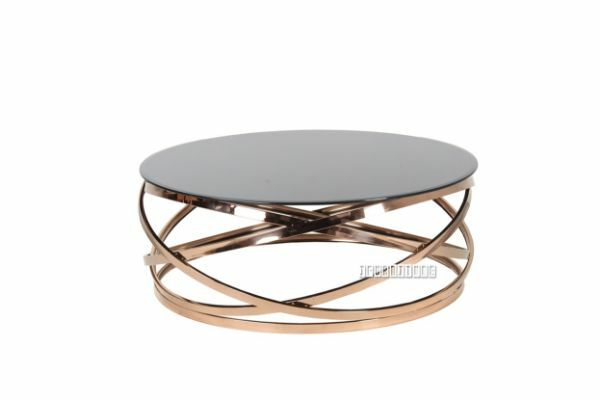 An ideal to add some modern feature to your living space with this round coffee table.